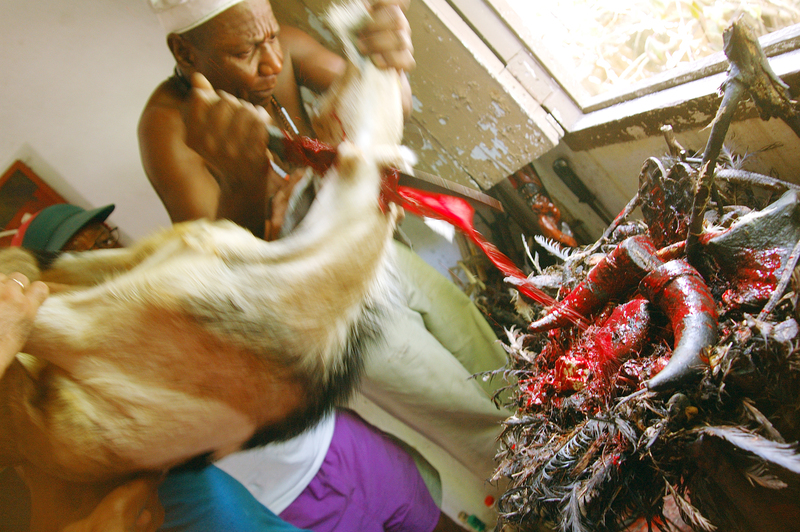 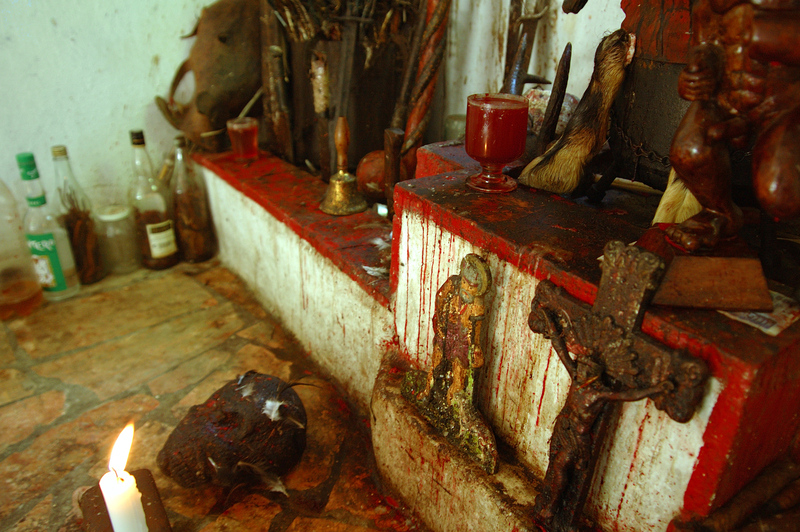 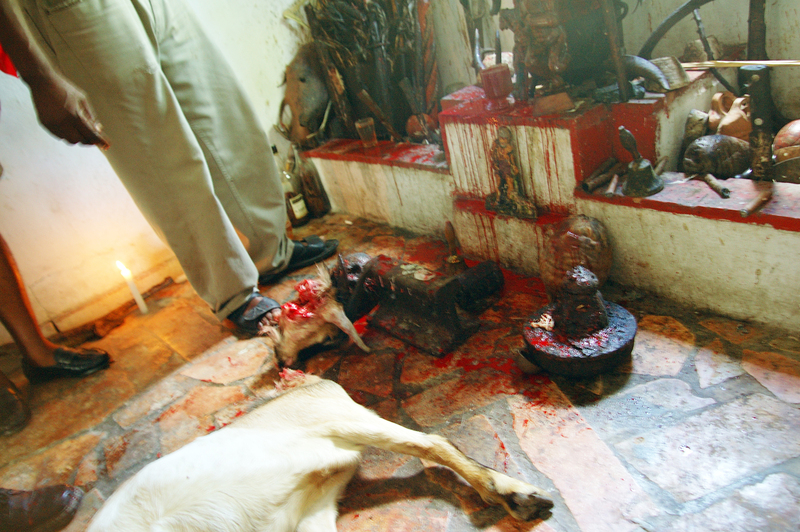 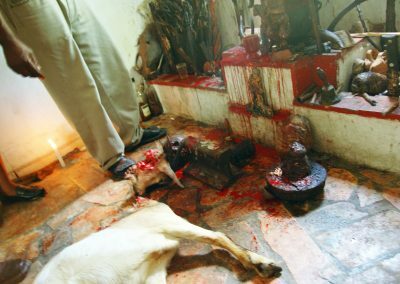 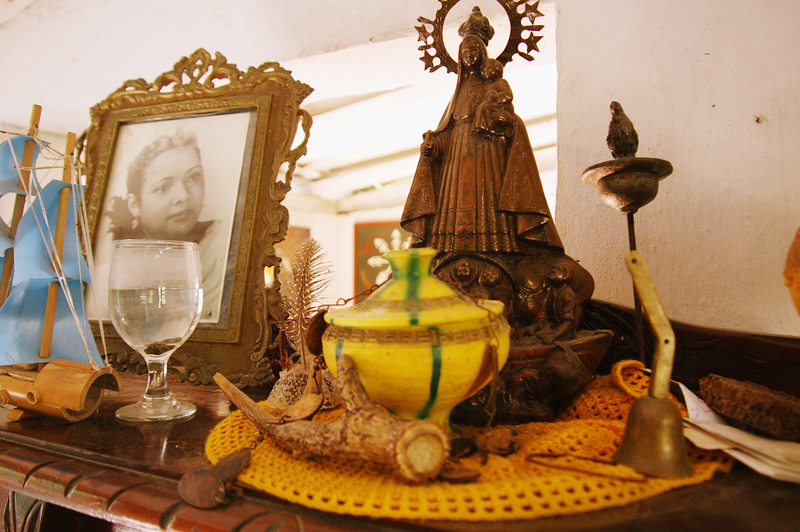 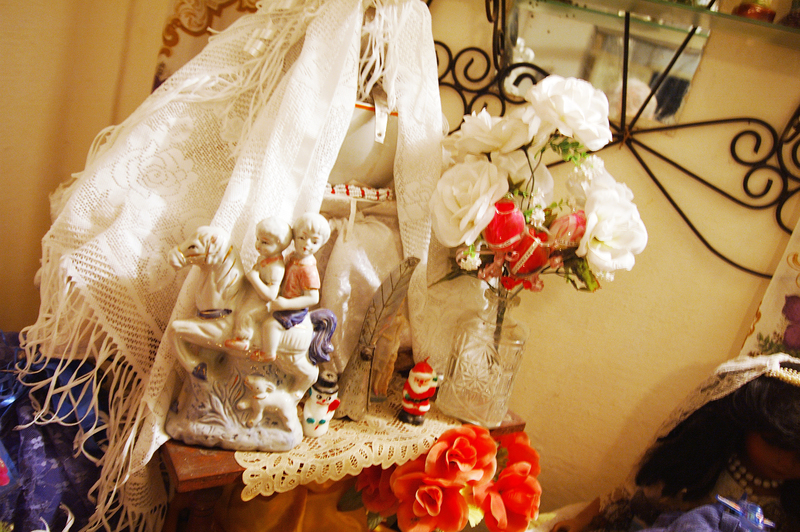 Santeria is a syncretic religion of West African and Caribbean origin influenced by Roman Catholic Christianity. 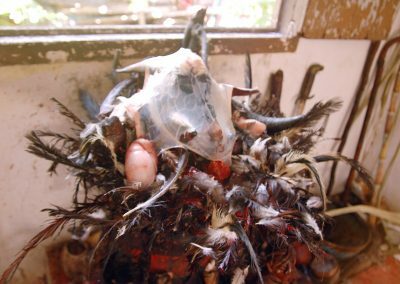 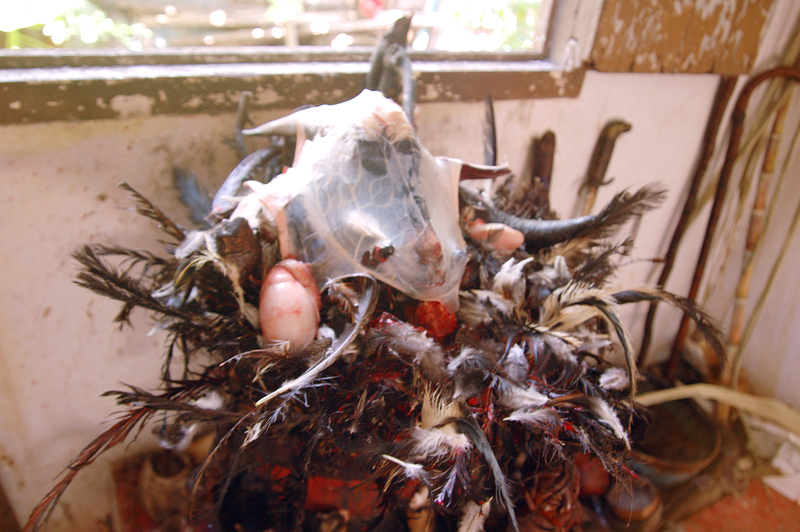 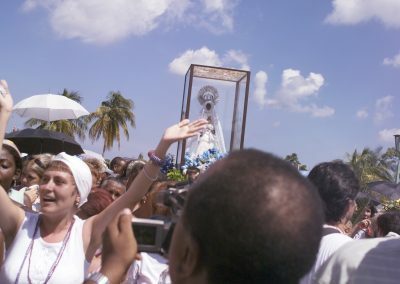 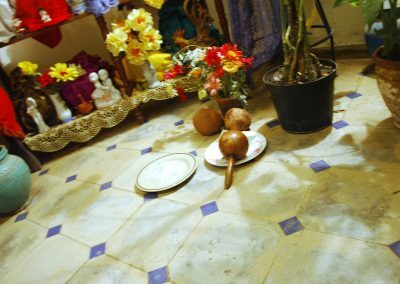 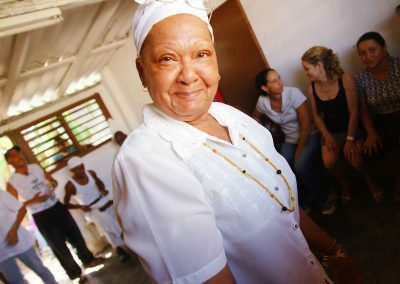 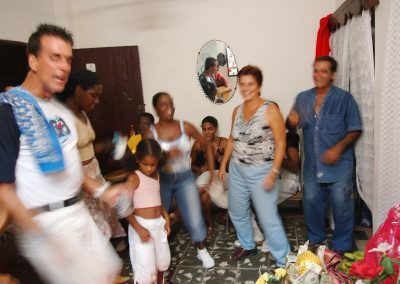 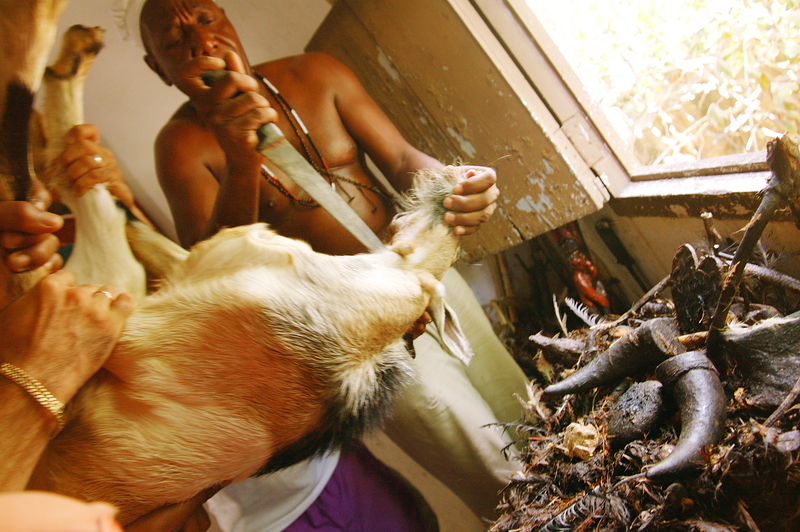 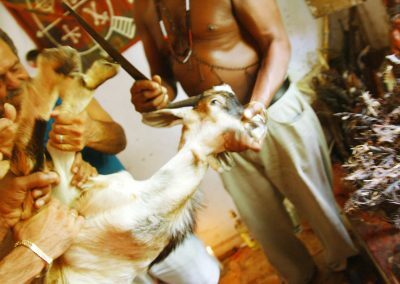 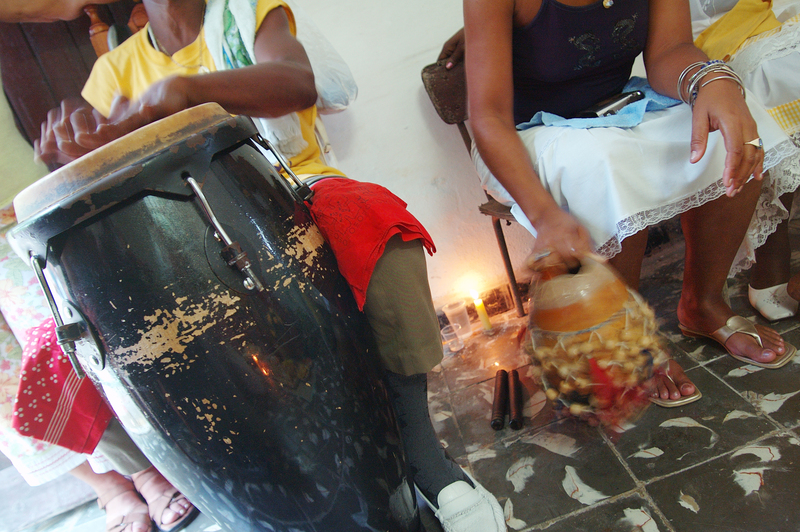 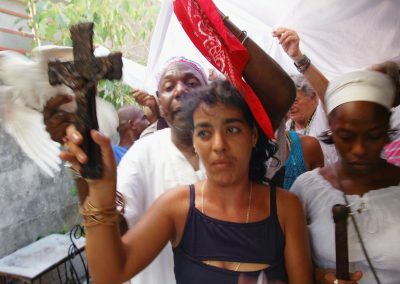 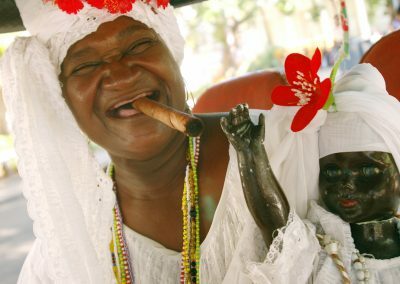 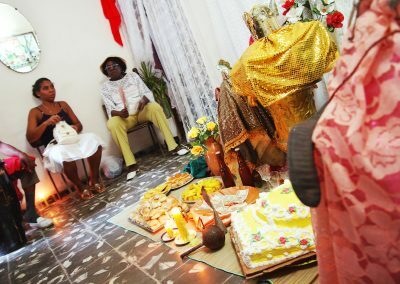 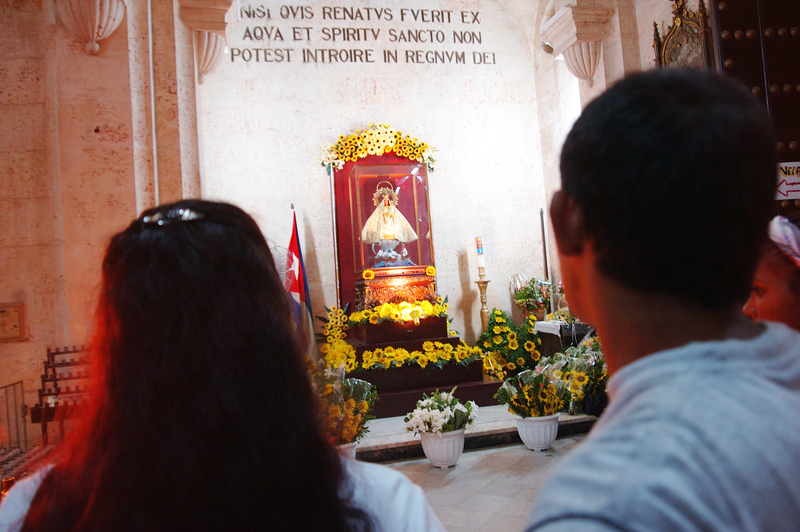 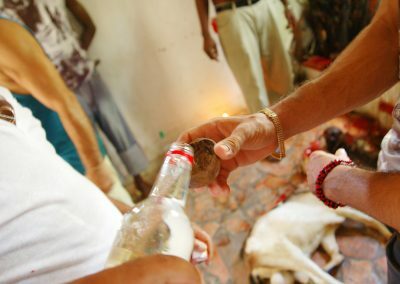 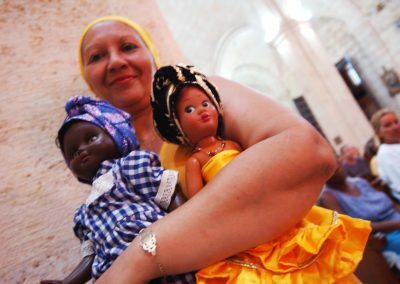 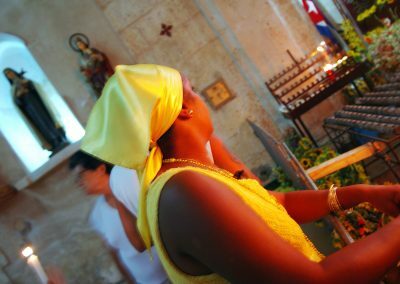 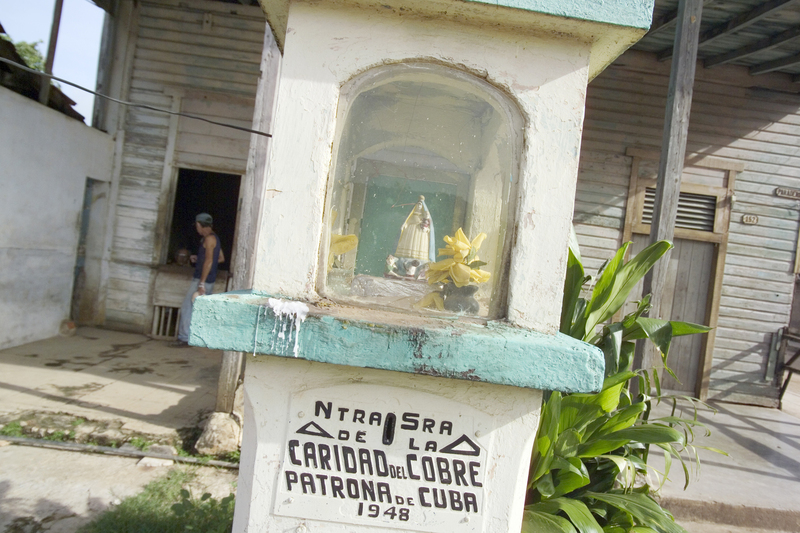 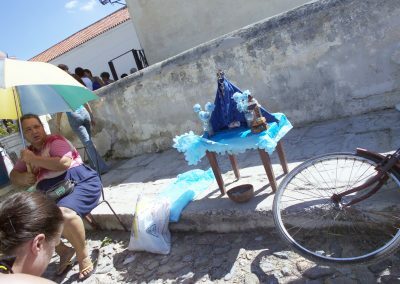 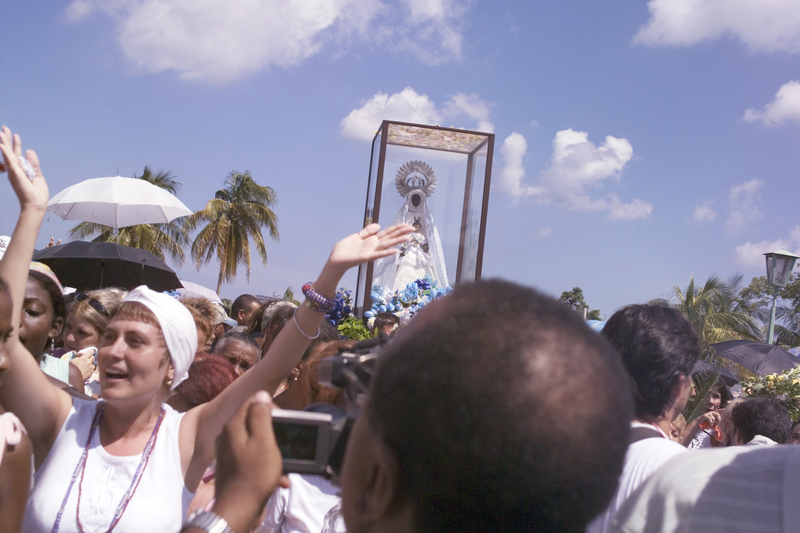 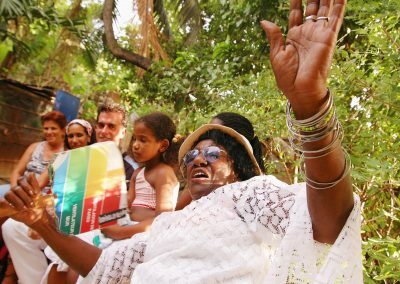 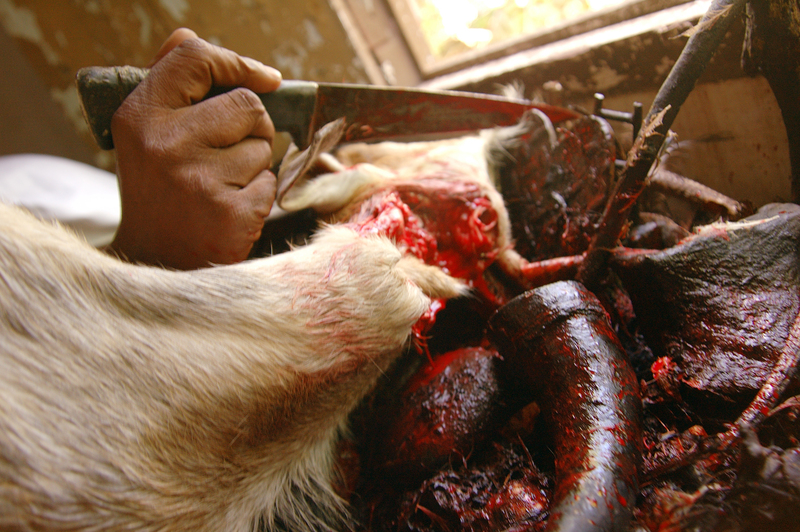 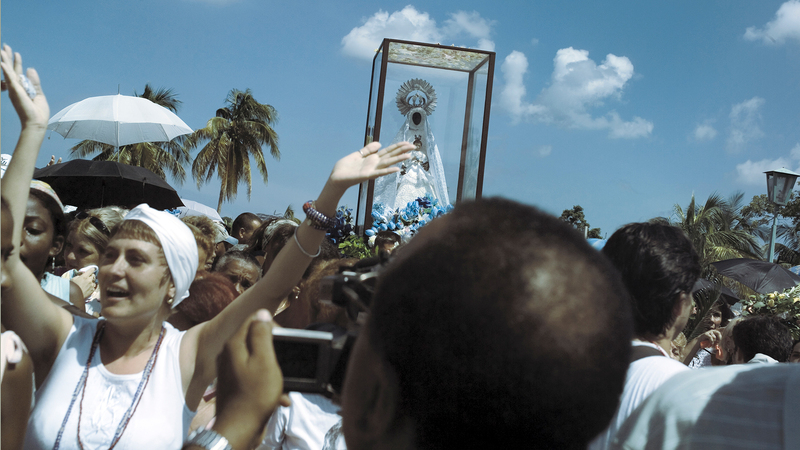 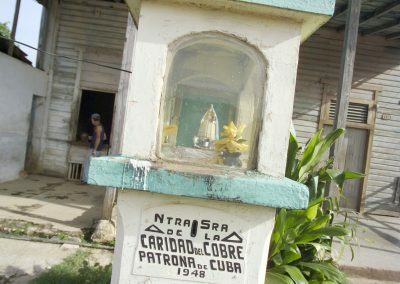 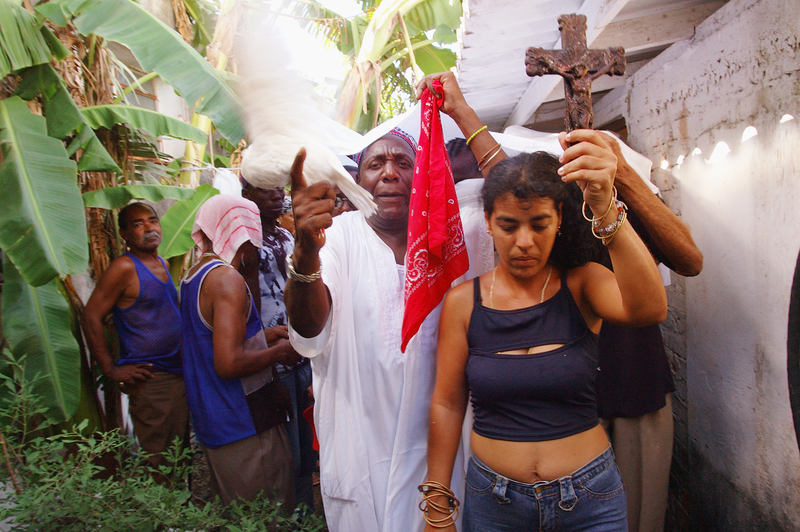 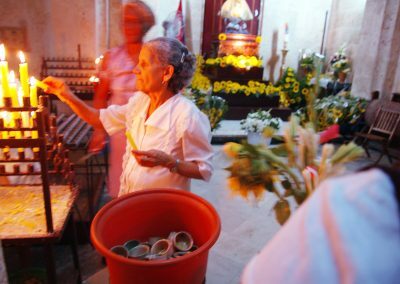 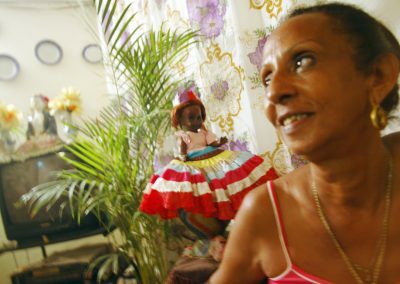 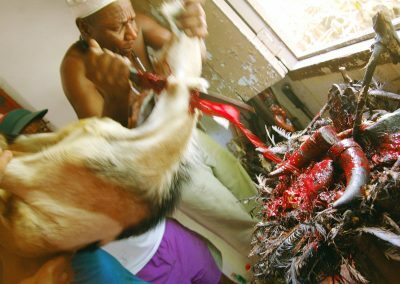 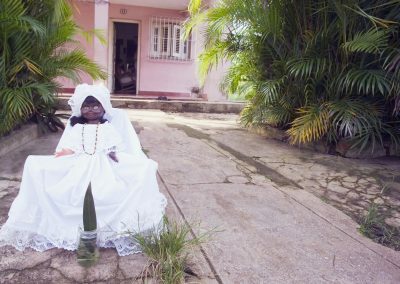 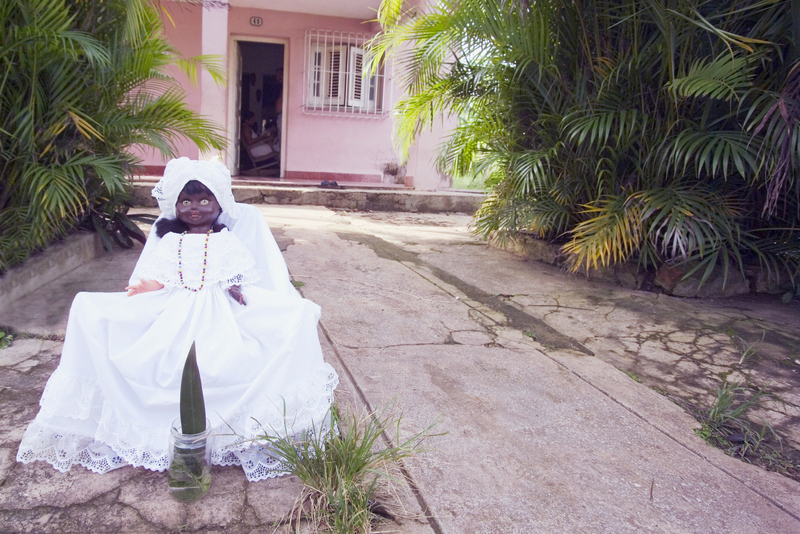 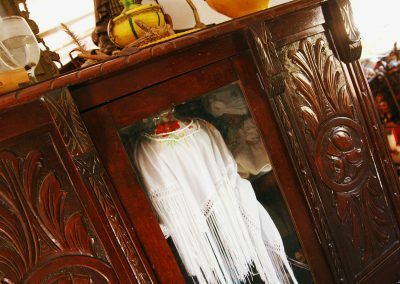 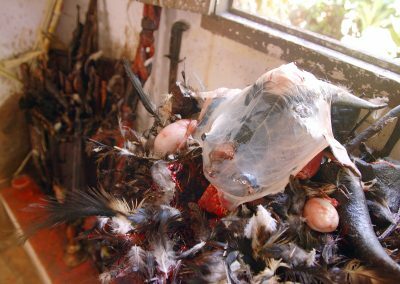 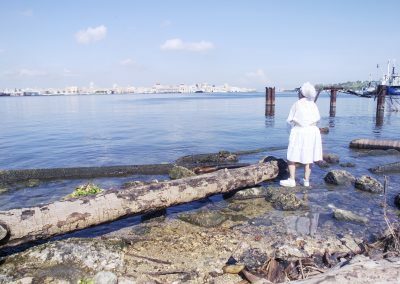 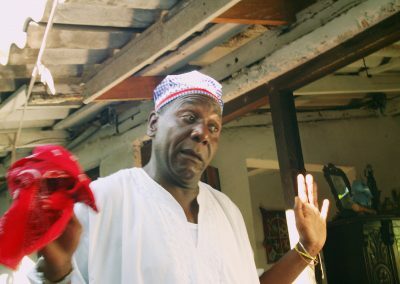 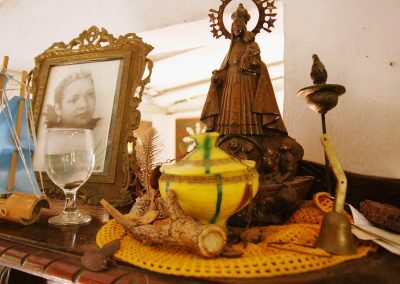 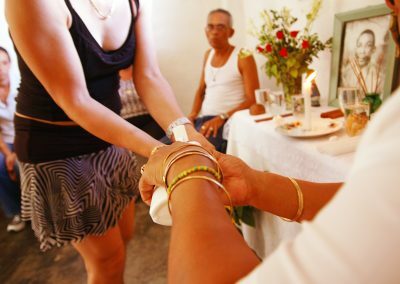 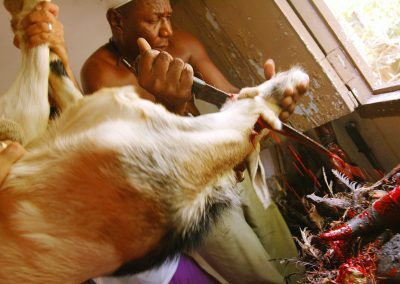 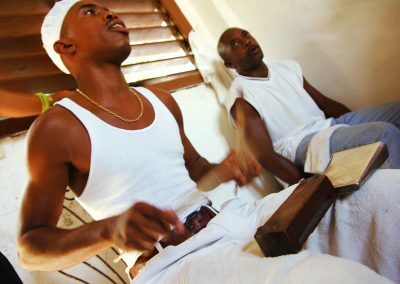 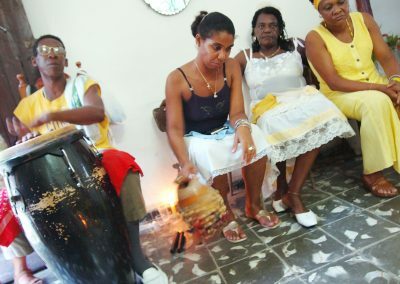 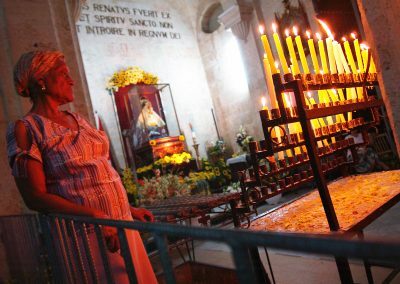 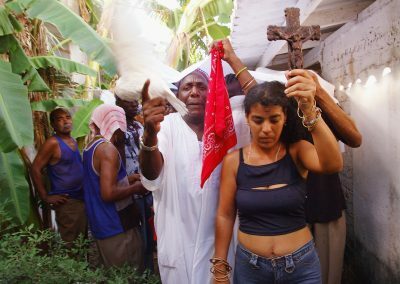 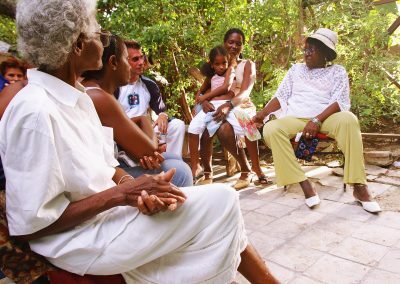 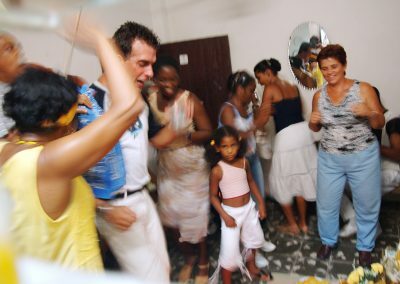 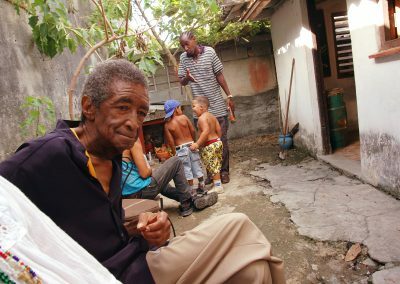 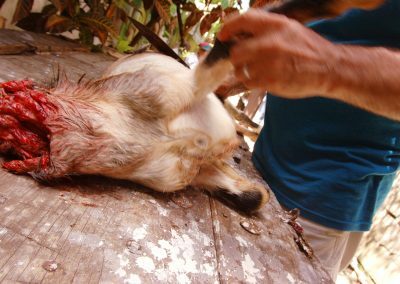 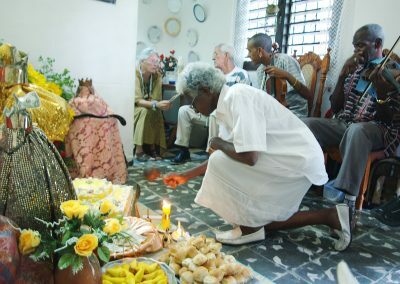 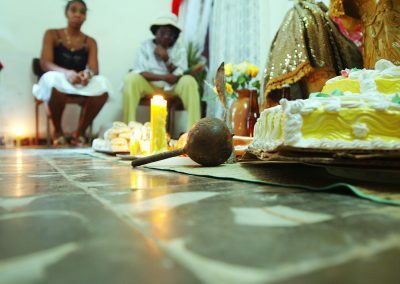 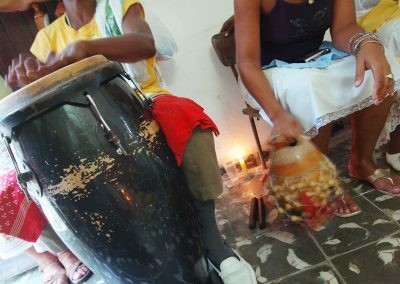 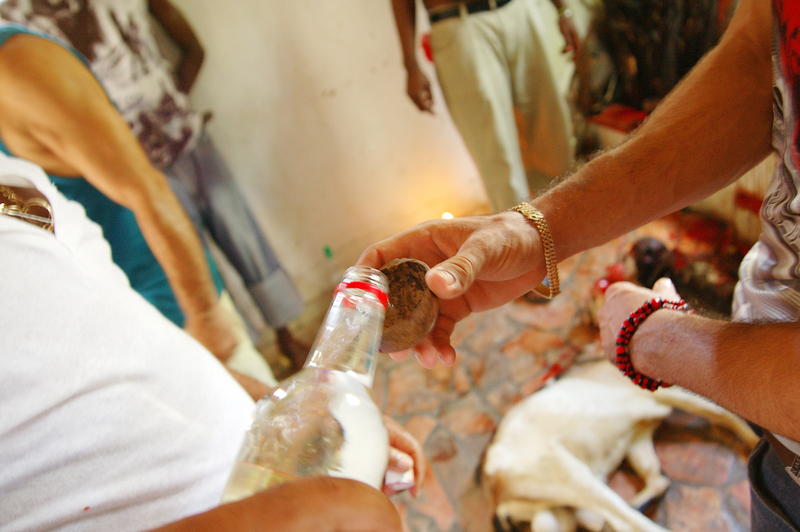 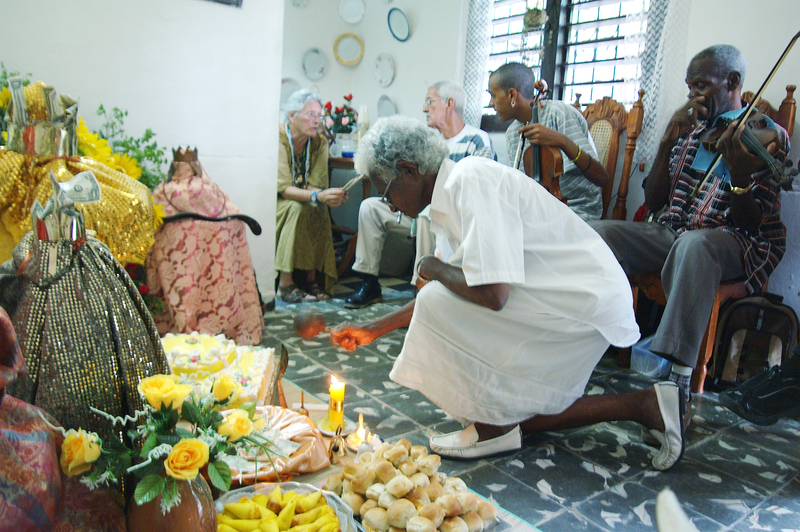 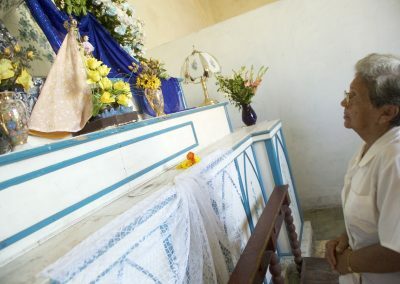 In Cuba, Santeria is a system of beliefs that merges the Yoruba religion (which was brought to the new world by enslaved West Africans sent to the Caribbean to work on sugar plantations) with Roman Catholic traditions. 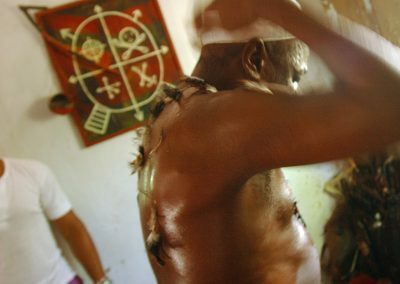 These Africans carried with them various religious customs, including a trance for communicating with their ancestors and deities, animal sacrifice and sacred drumming and dance. 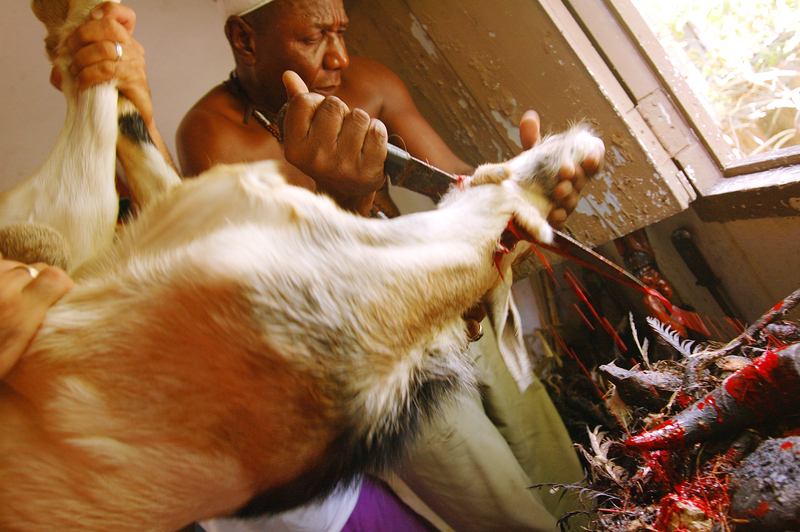 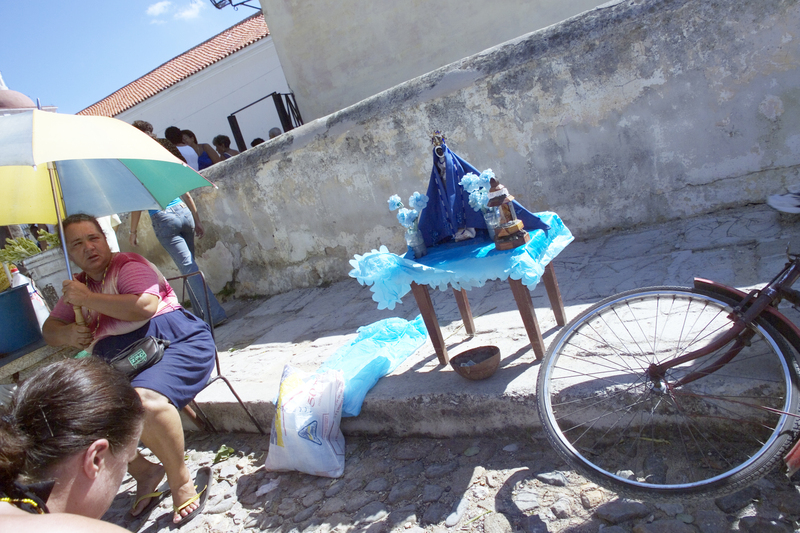 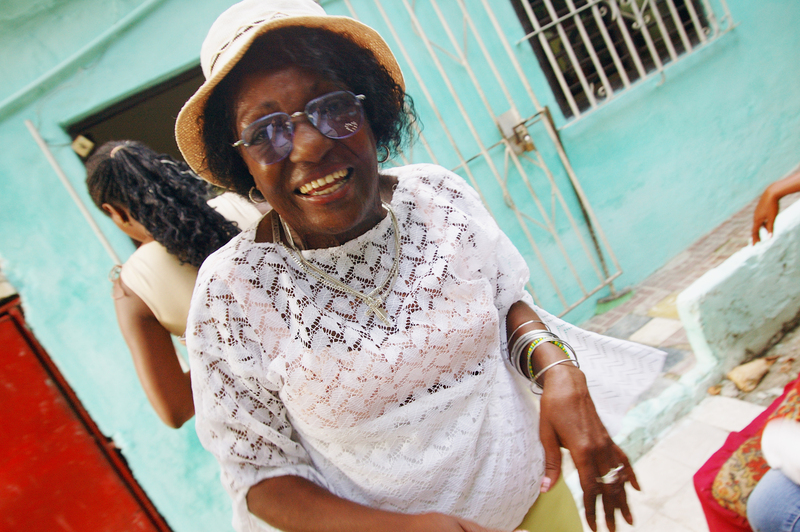 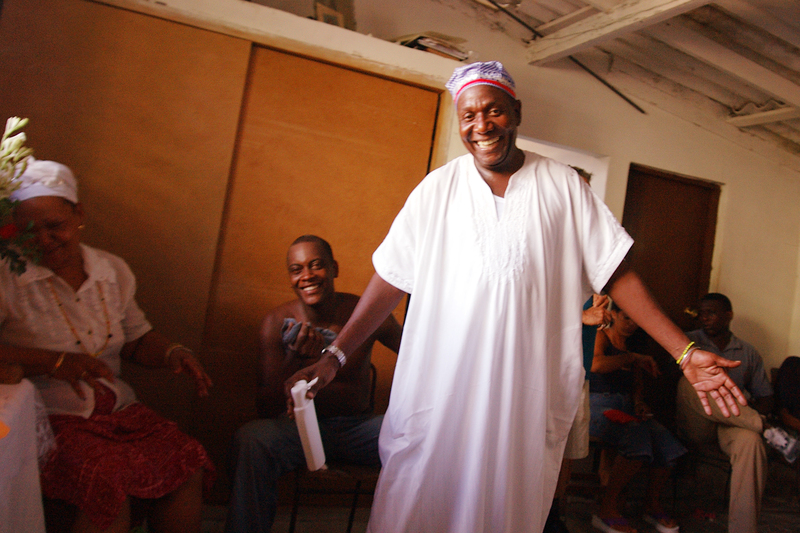 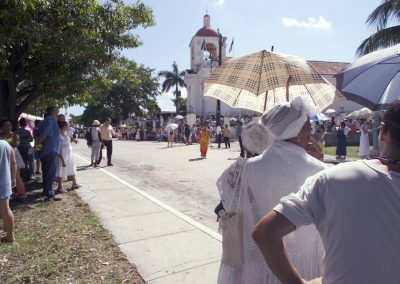 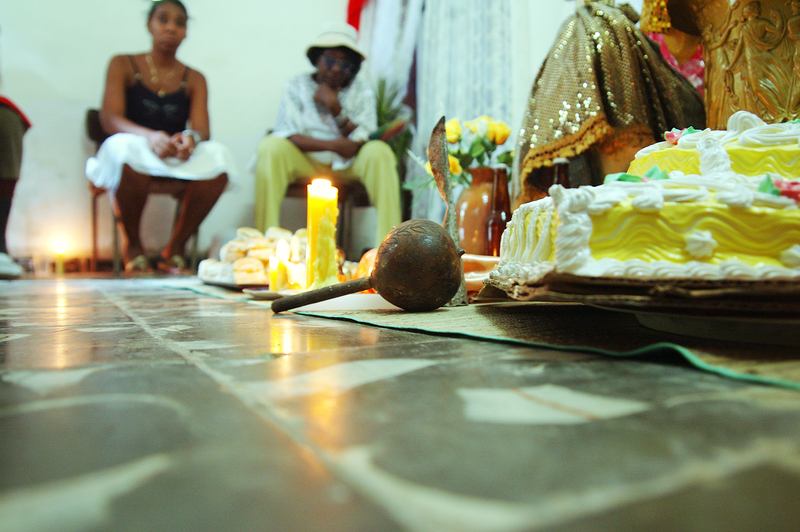 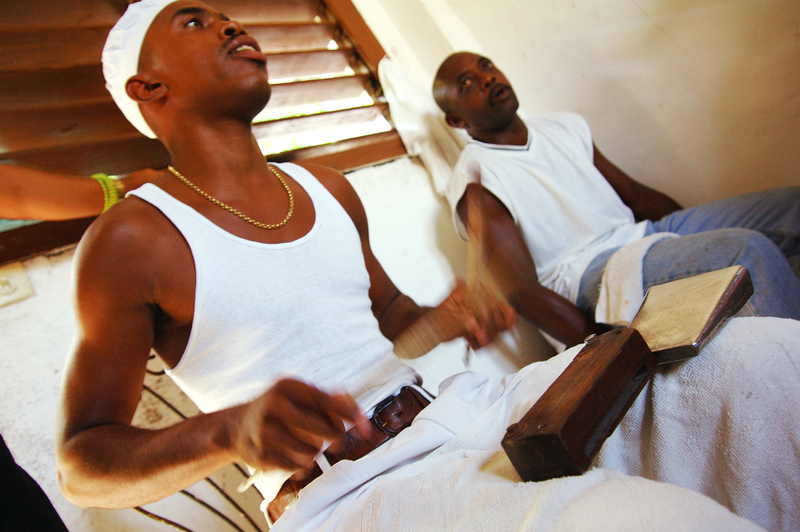 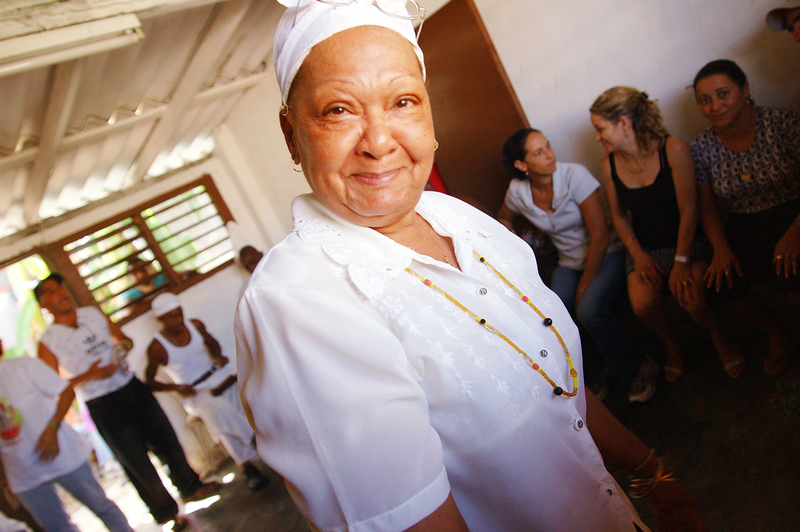 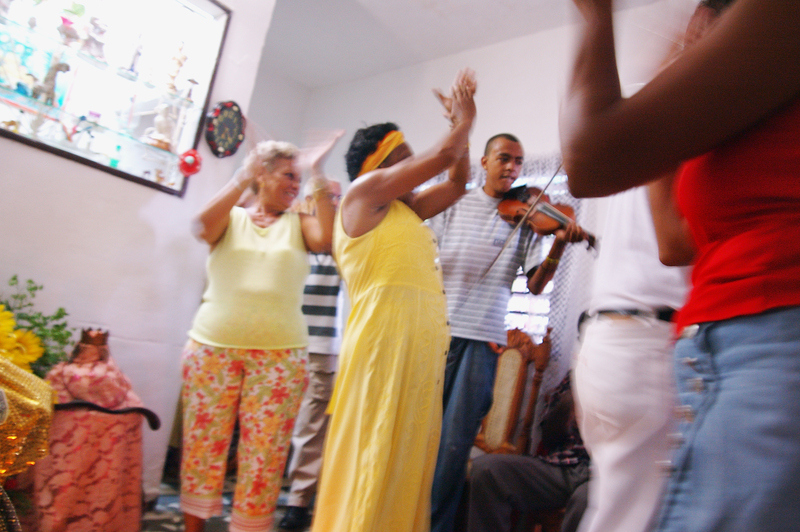 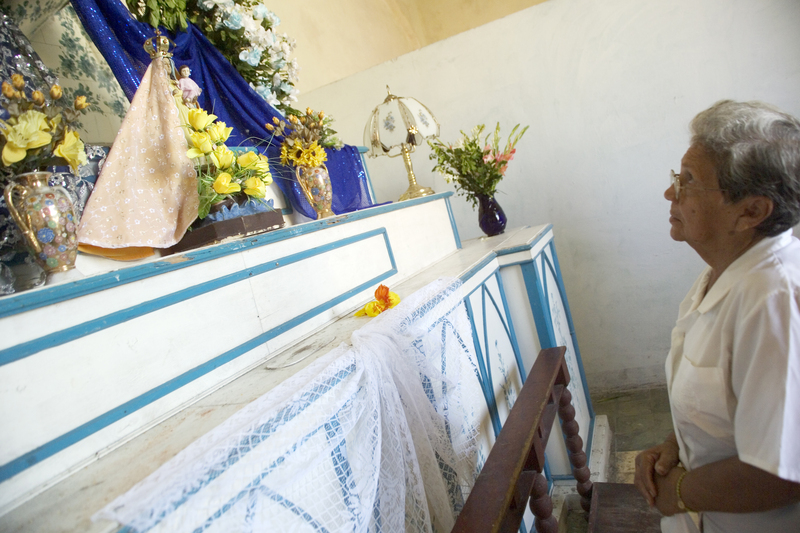 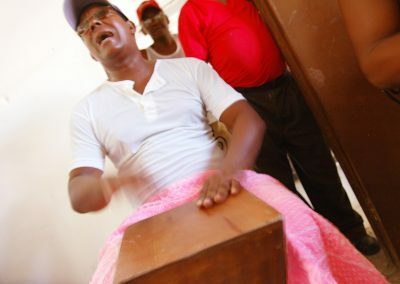 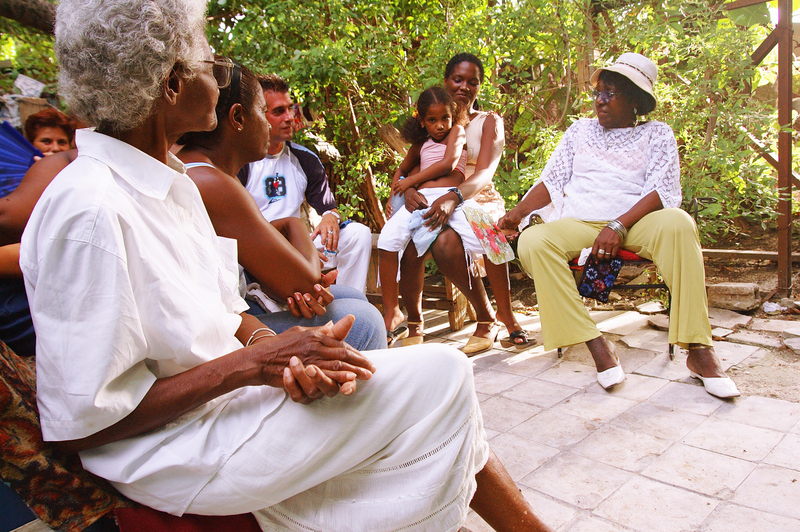 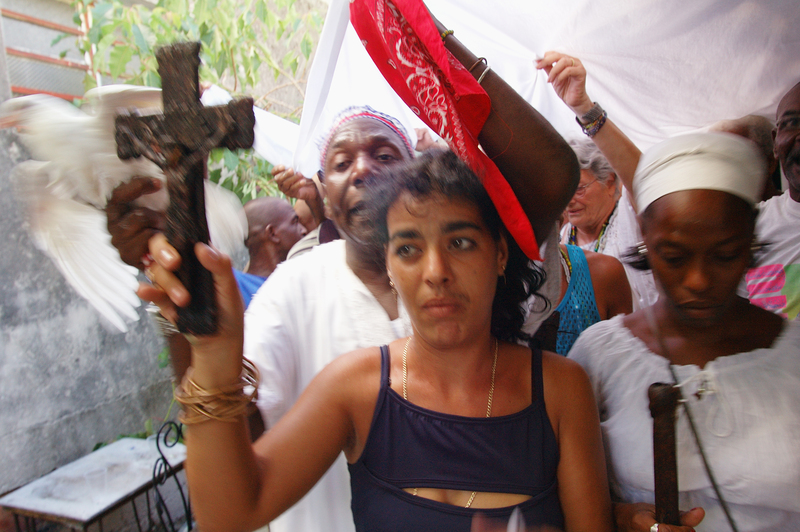 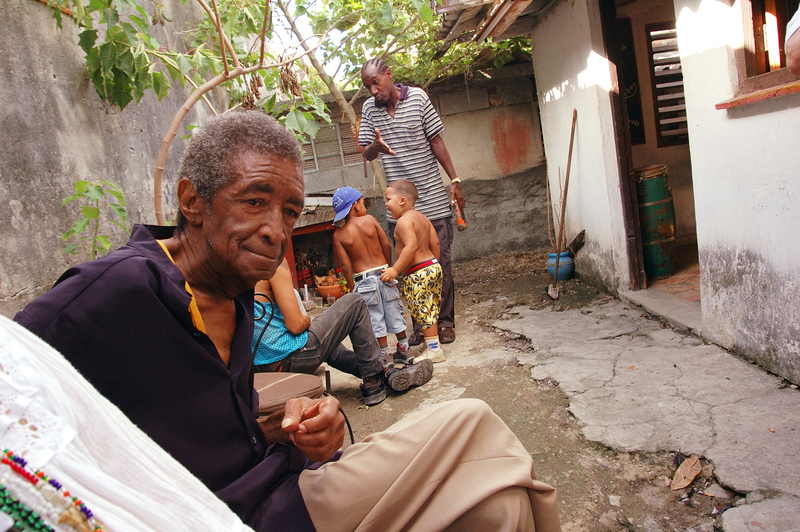 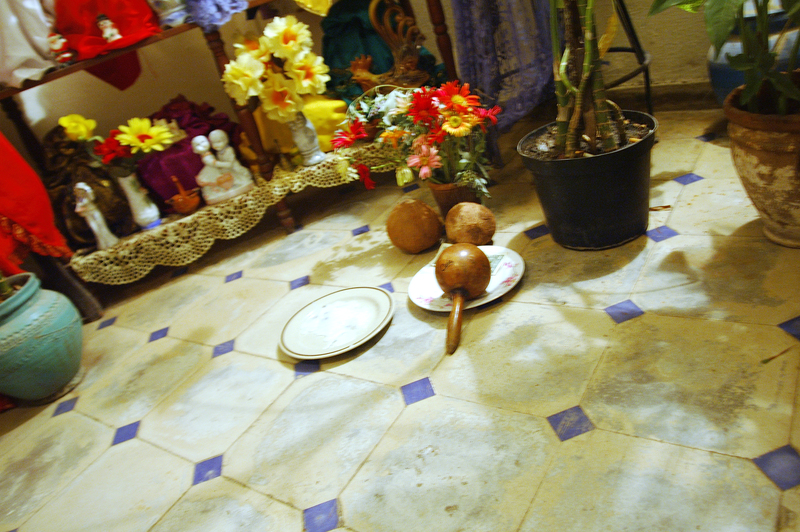 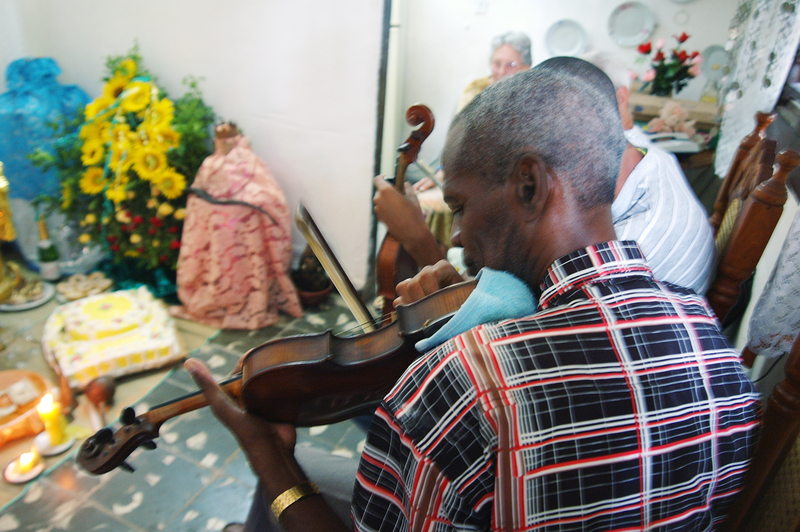 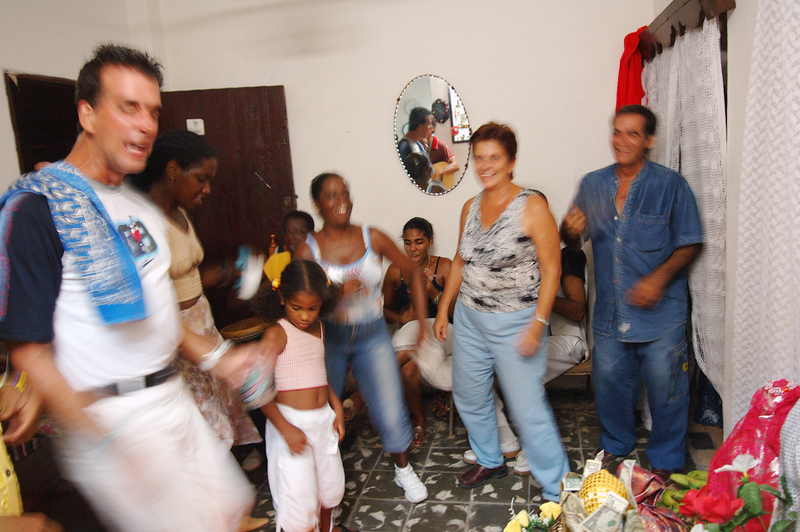 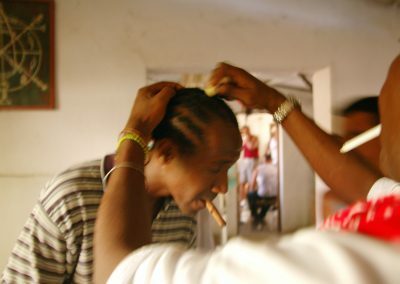 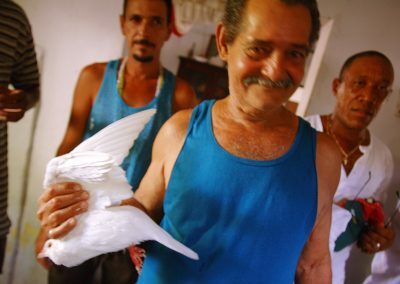 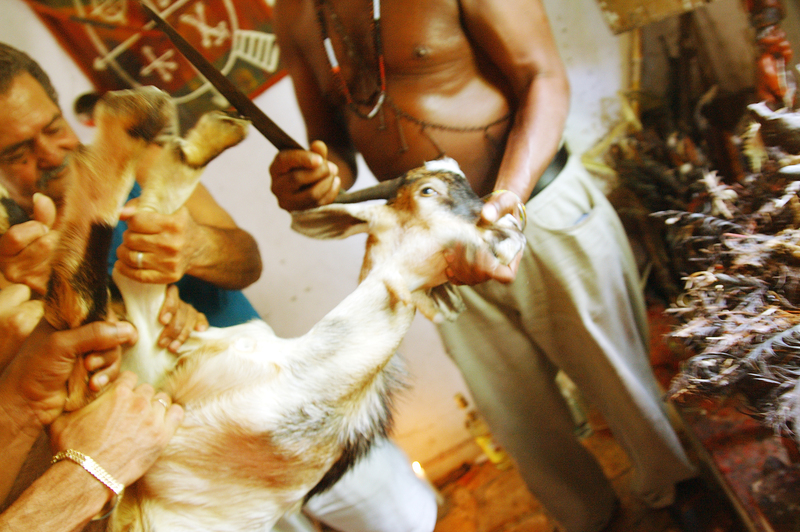 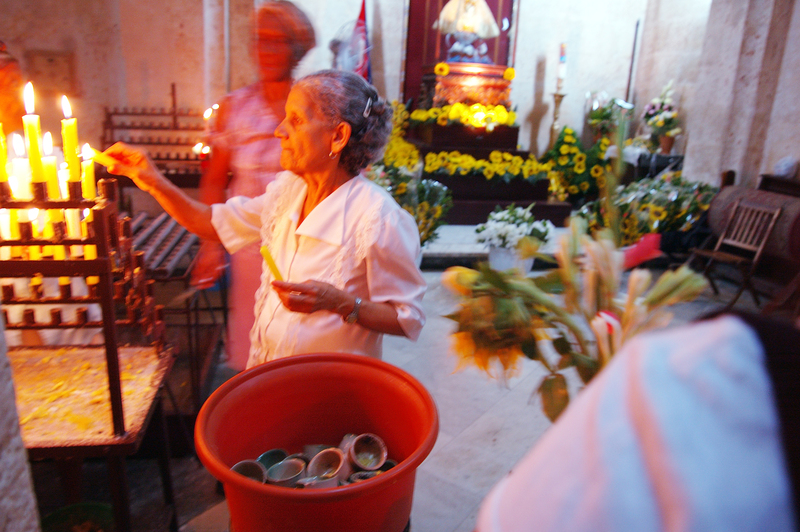 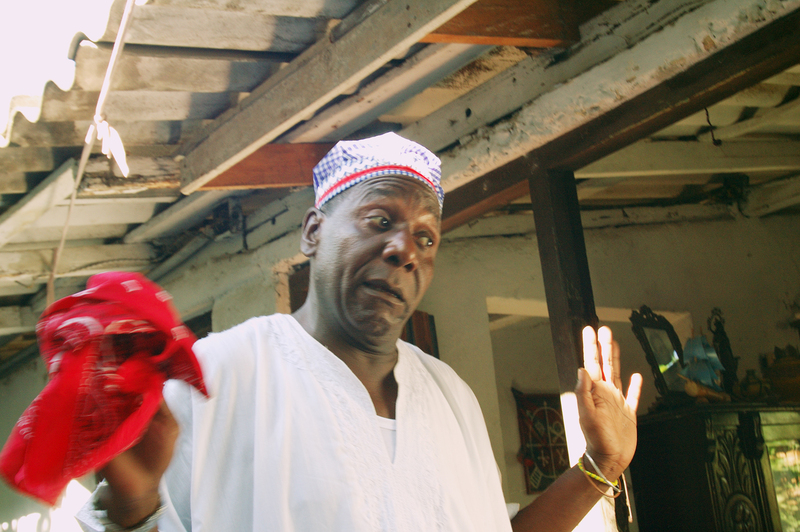 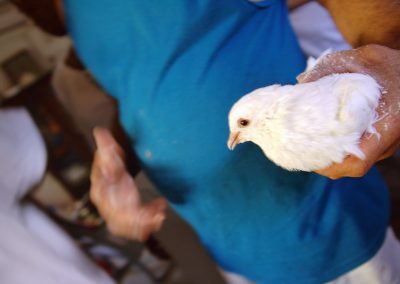 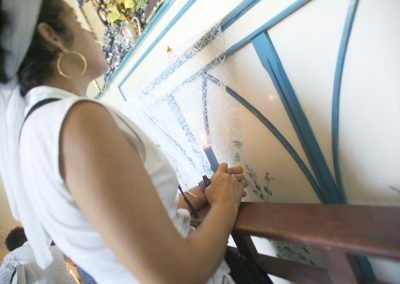 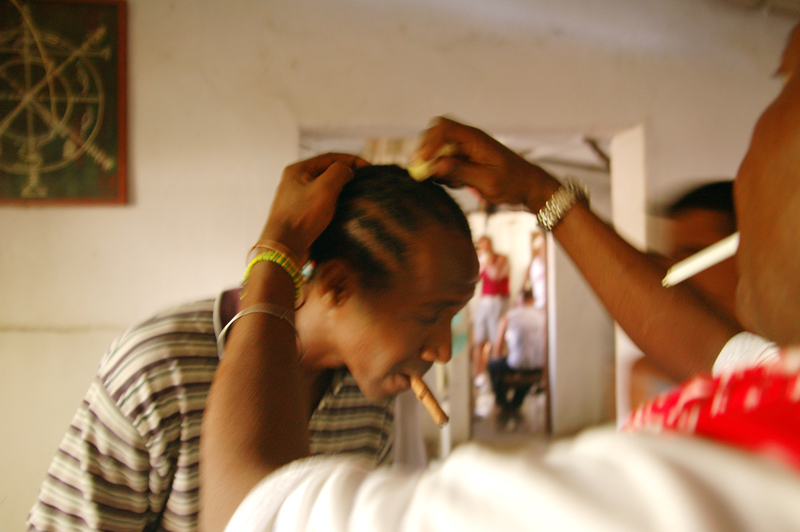 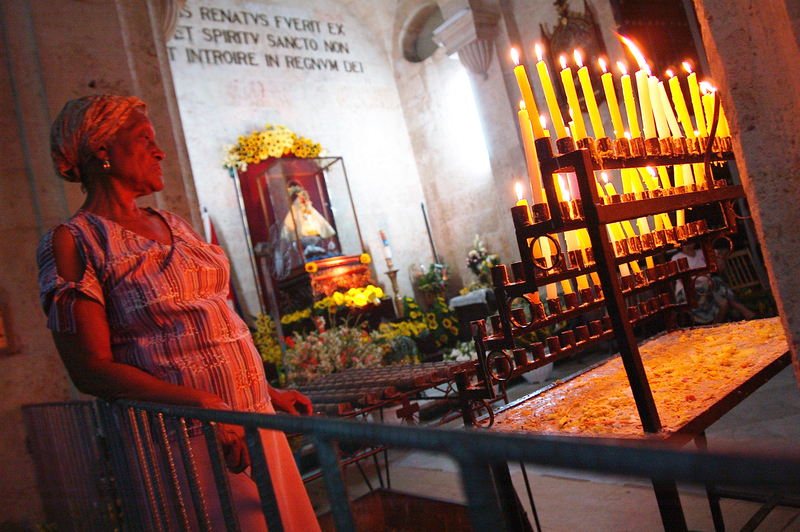 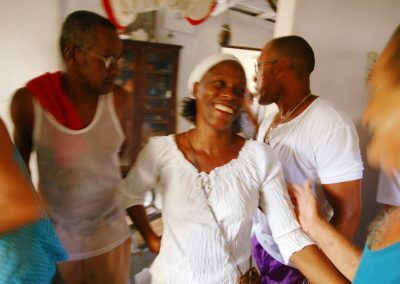 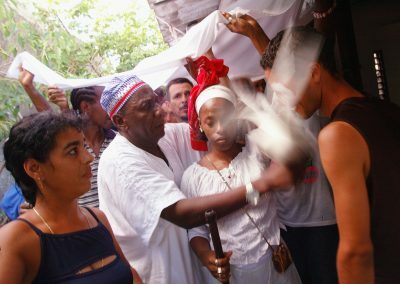 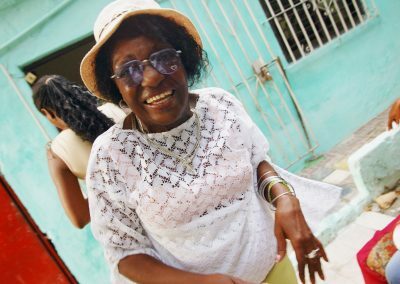 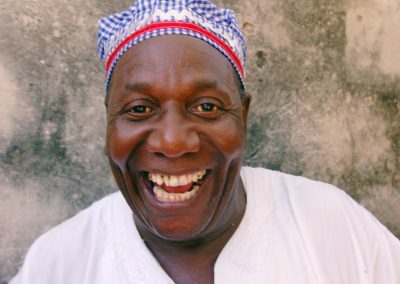 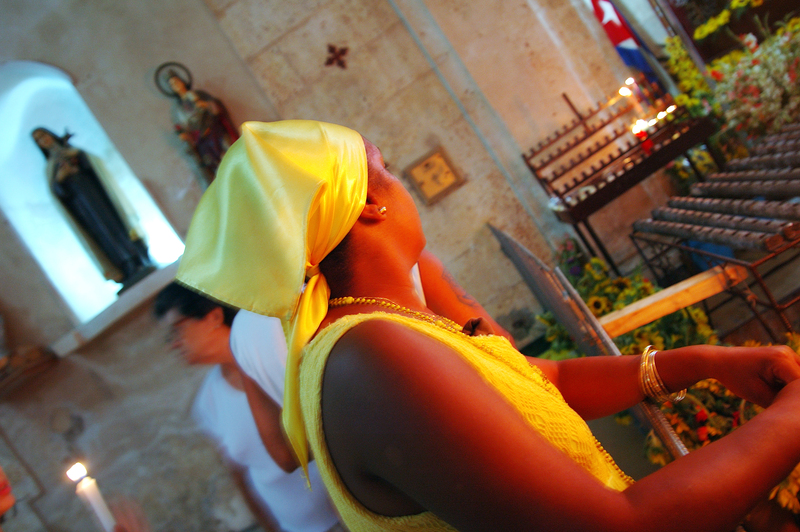 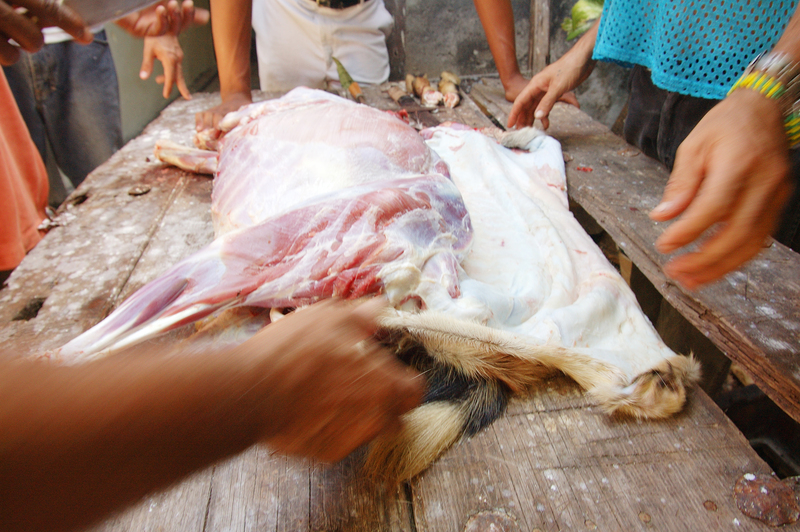 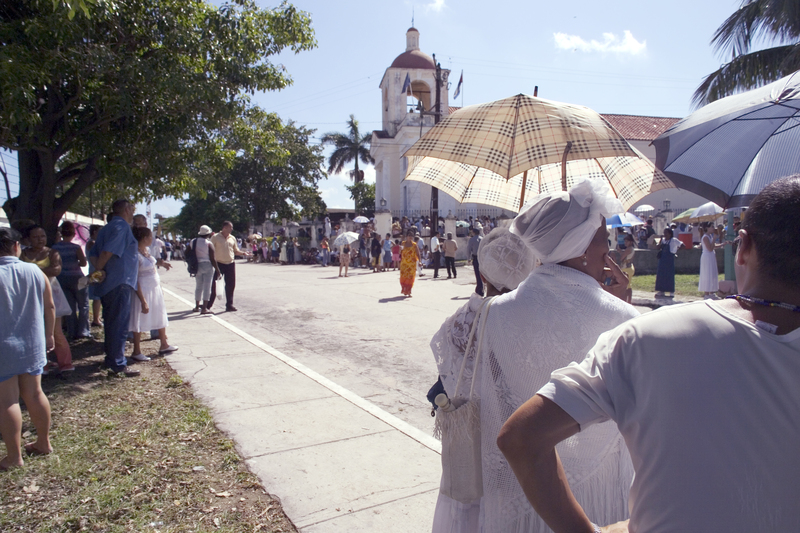 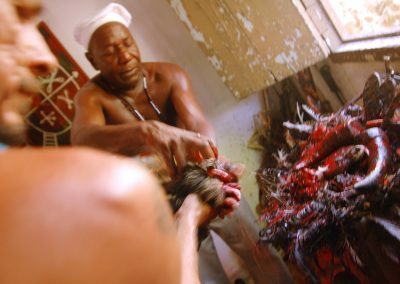 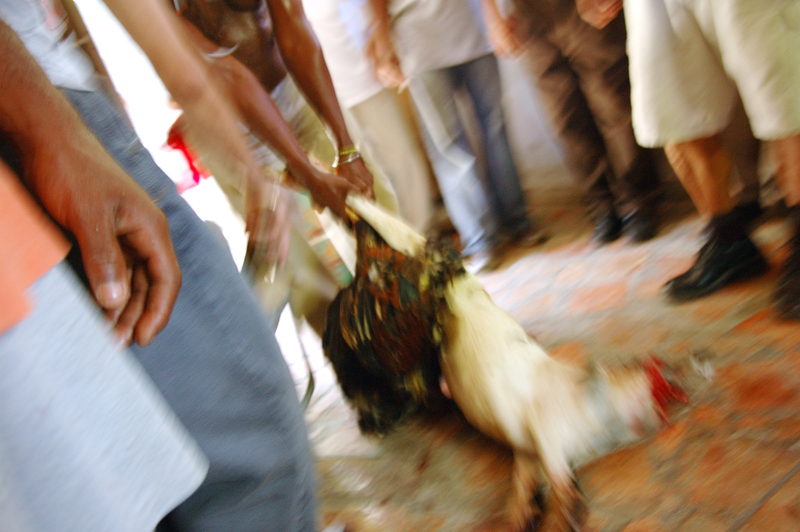 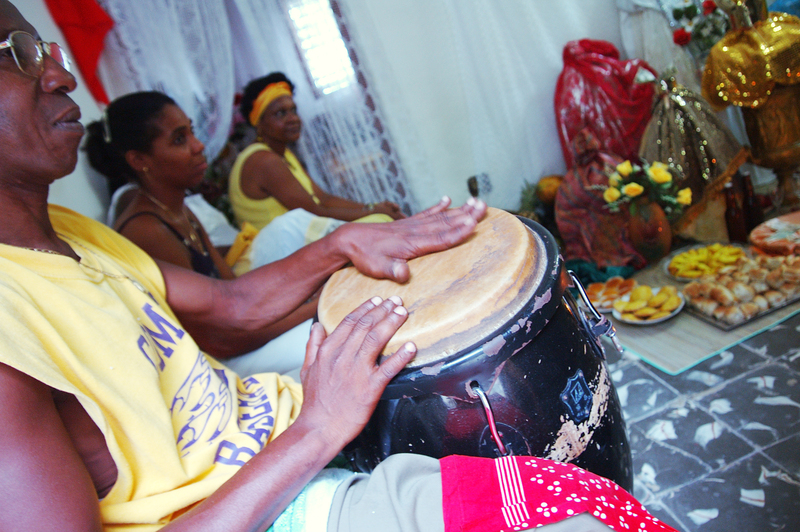 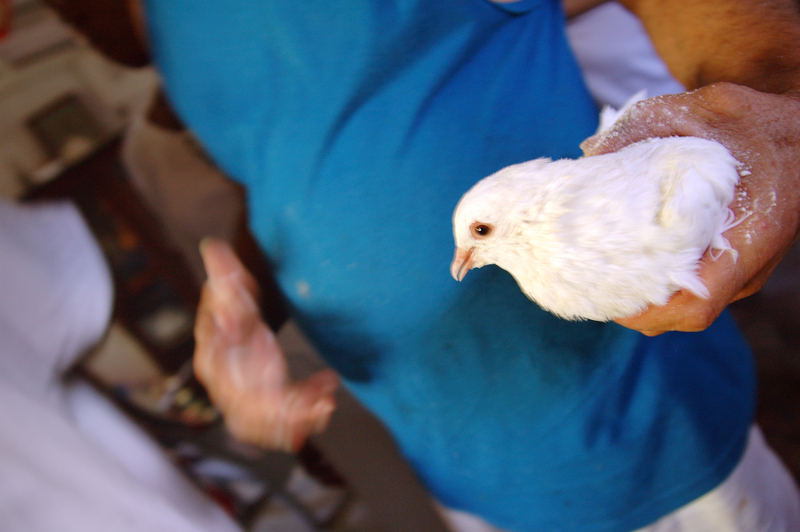 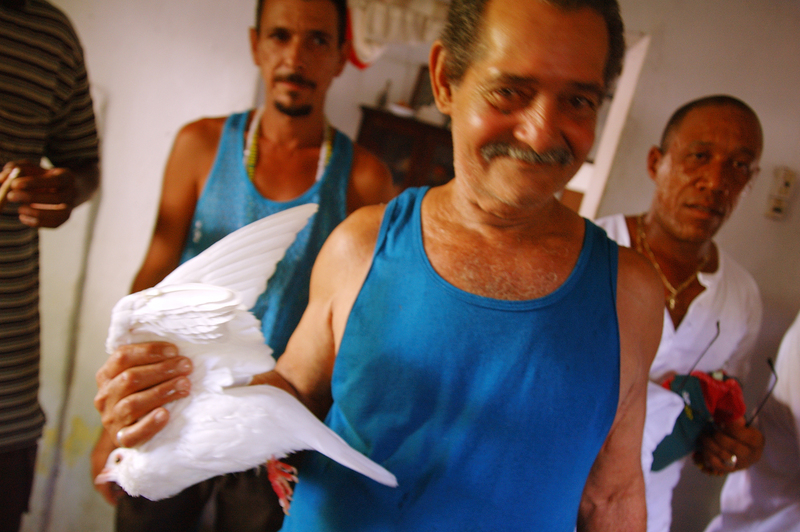 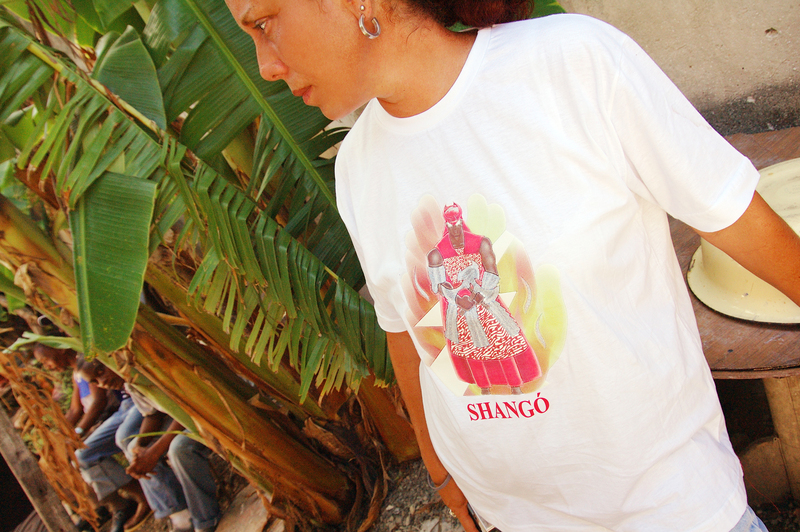 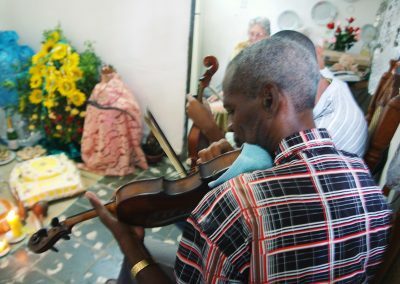 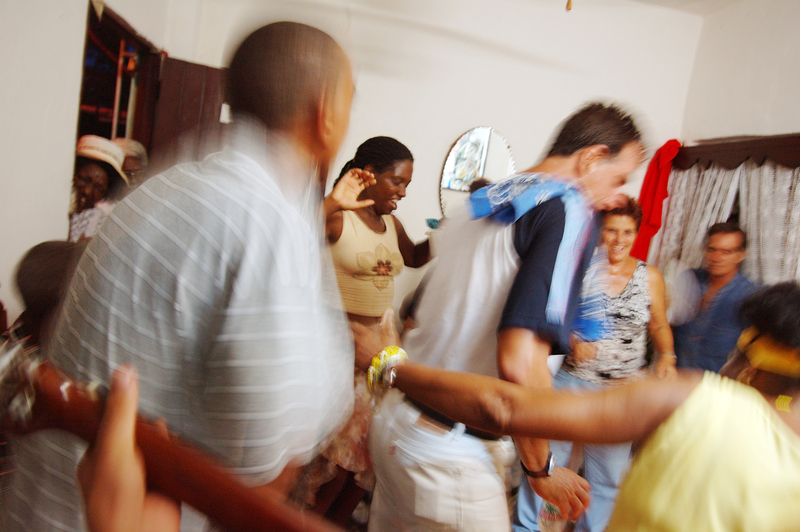 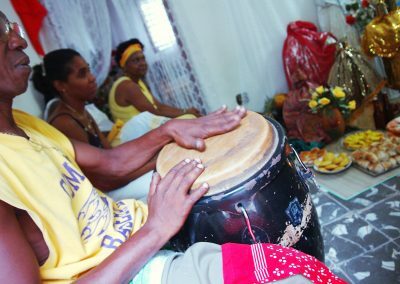 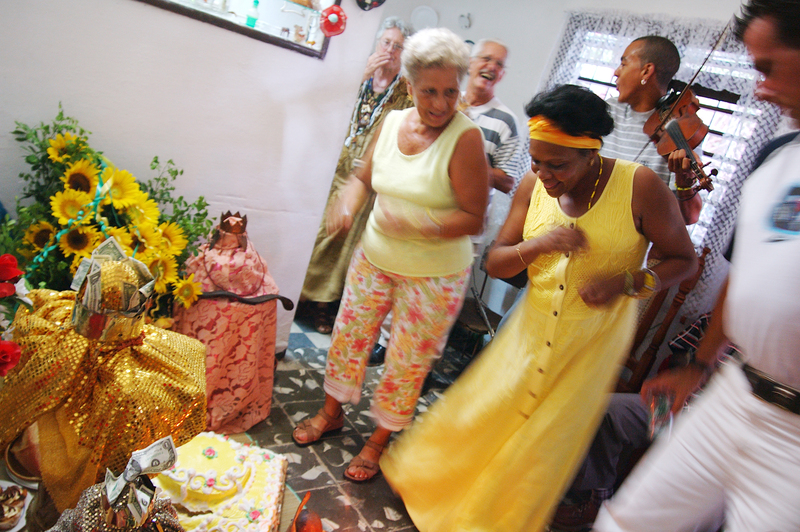 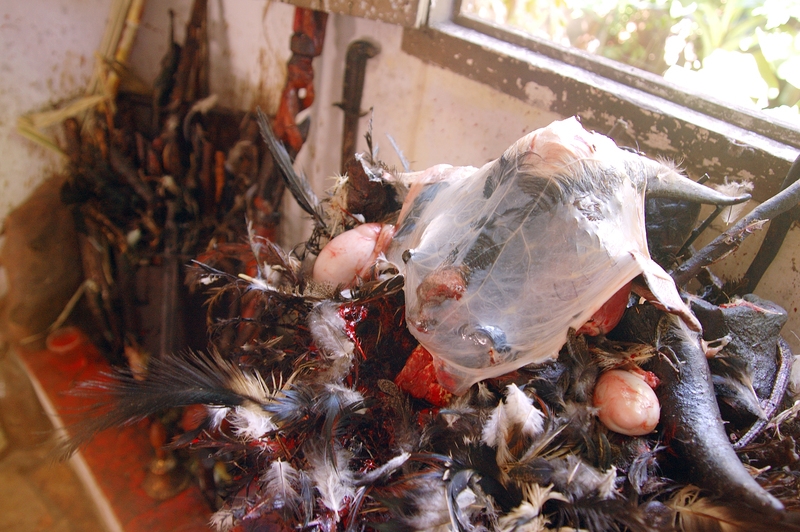 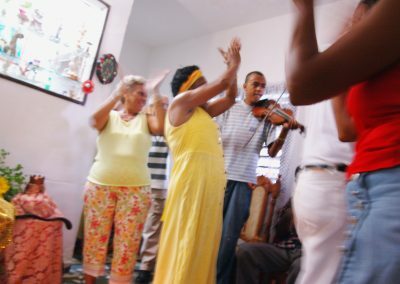 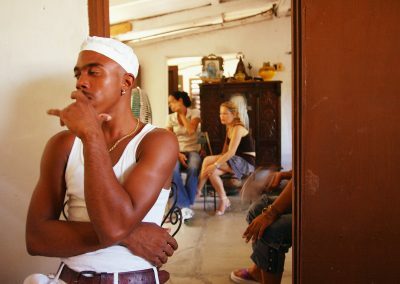 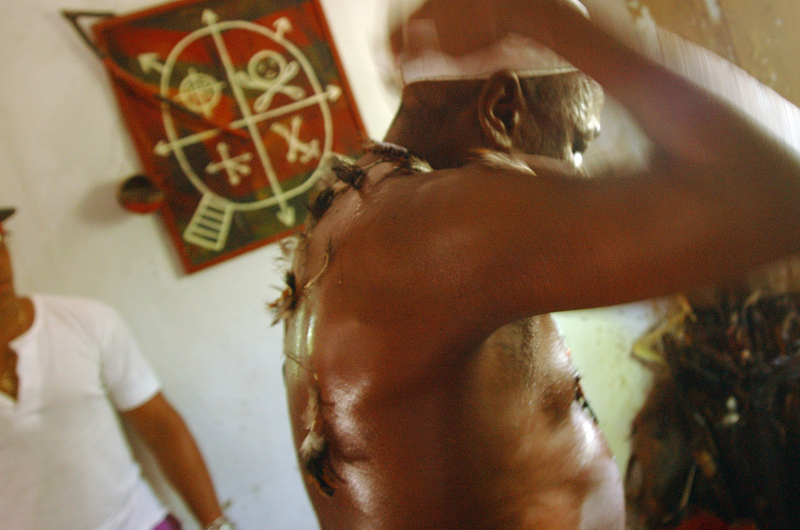 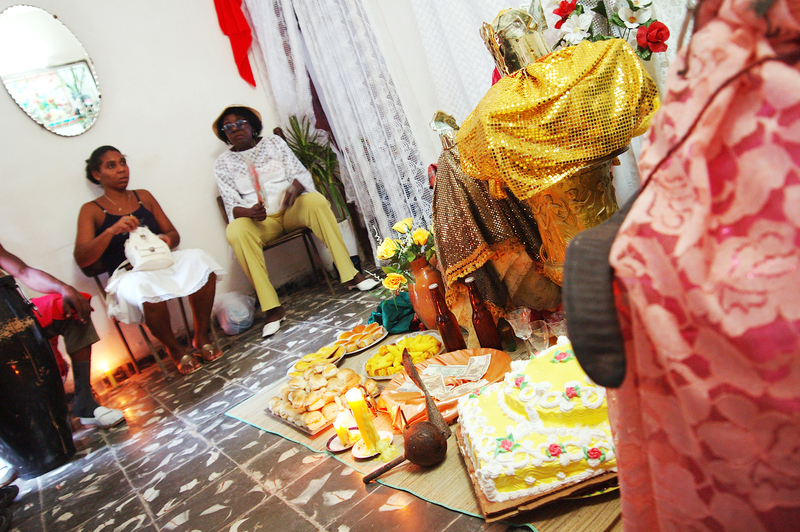 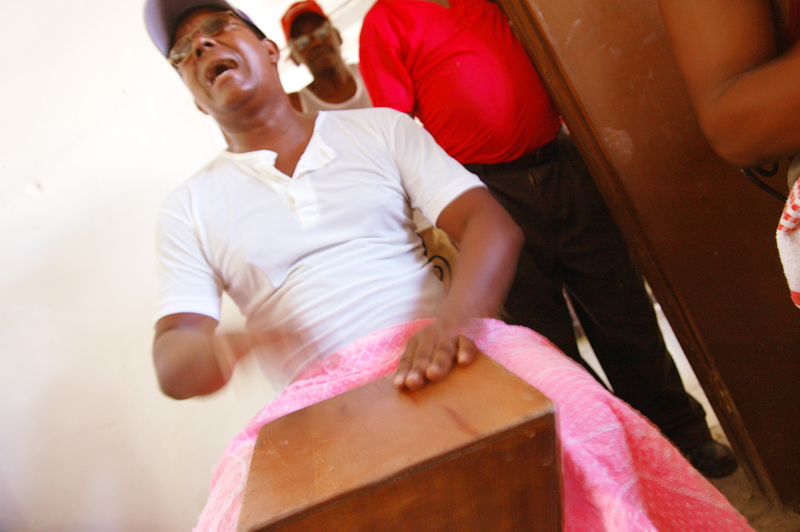 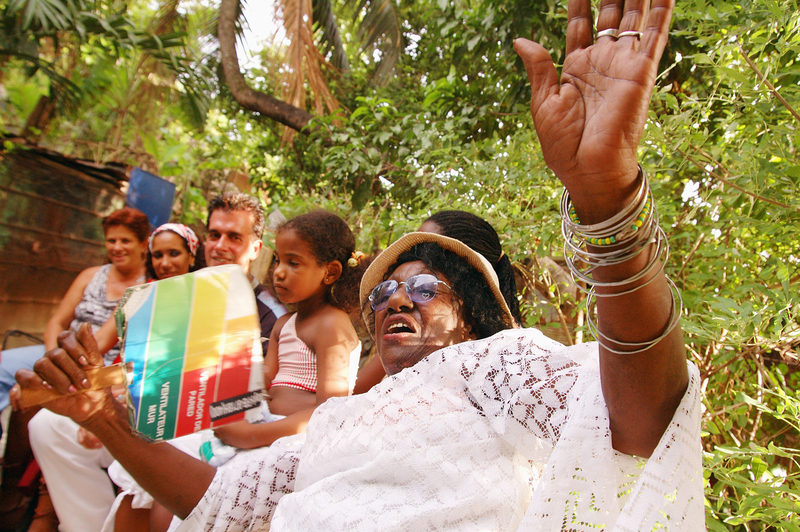 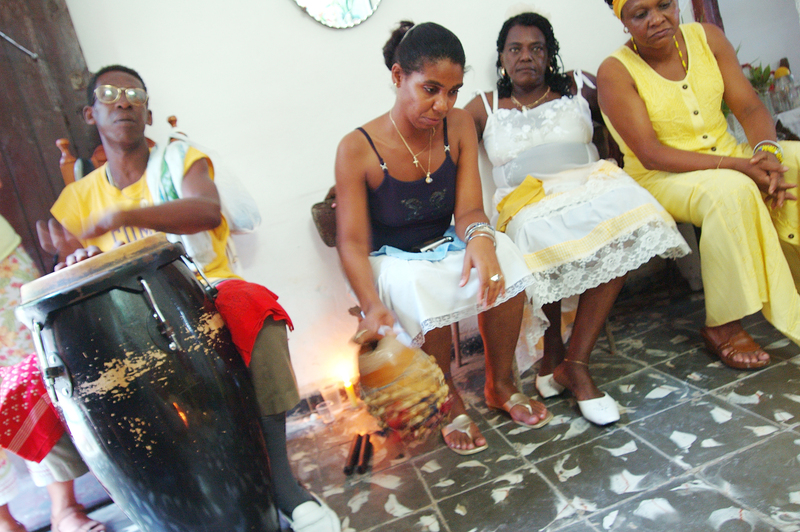 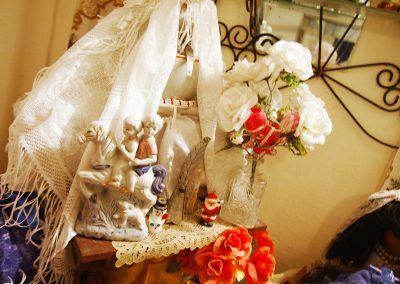 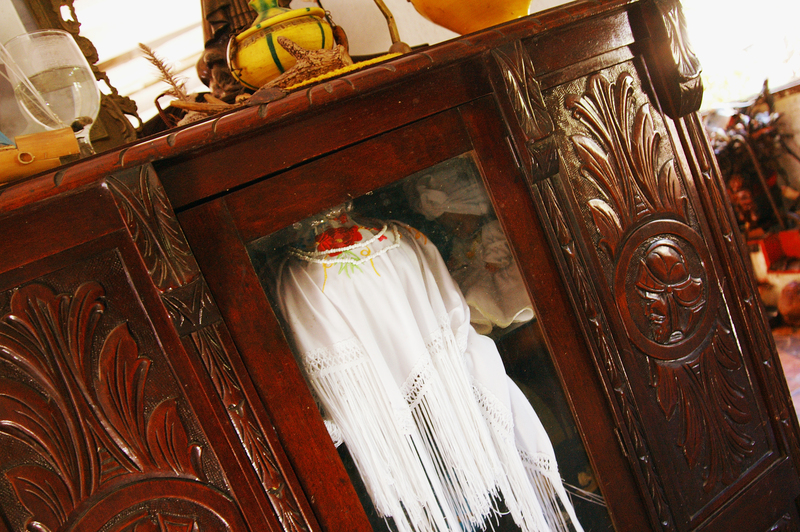 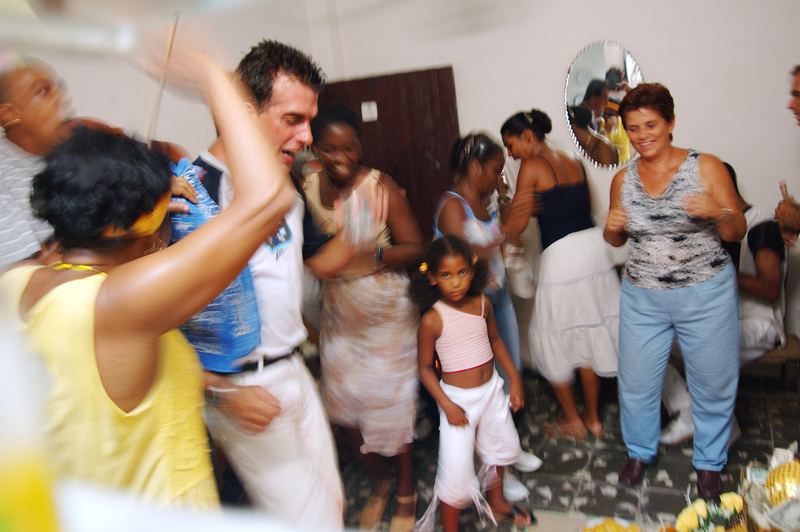 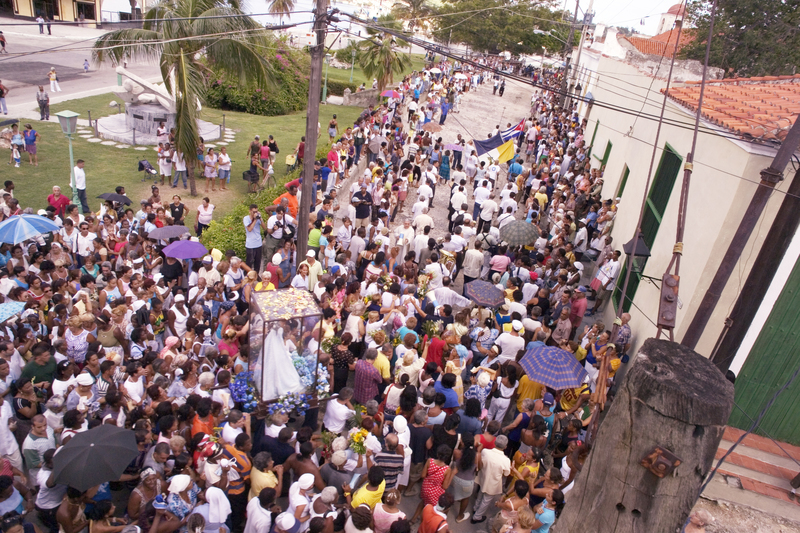 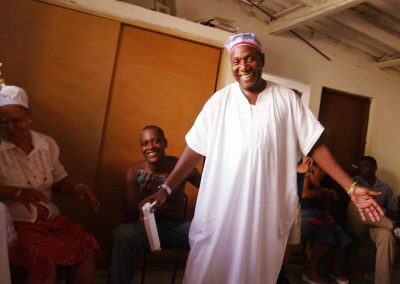 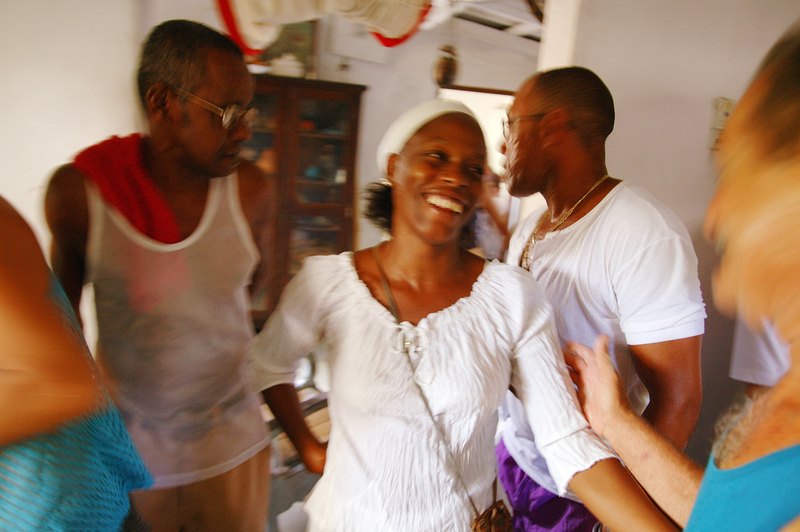 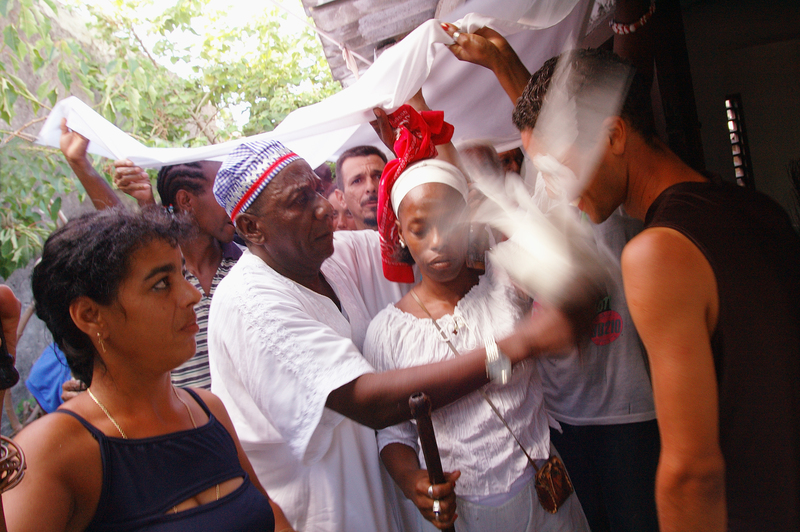 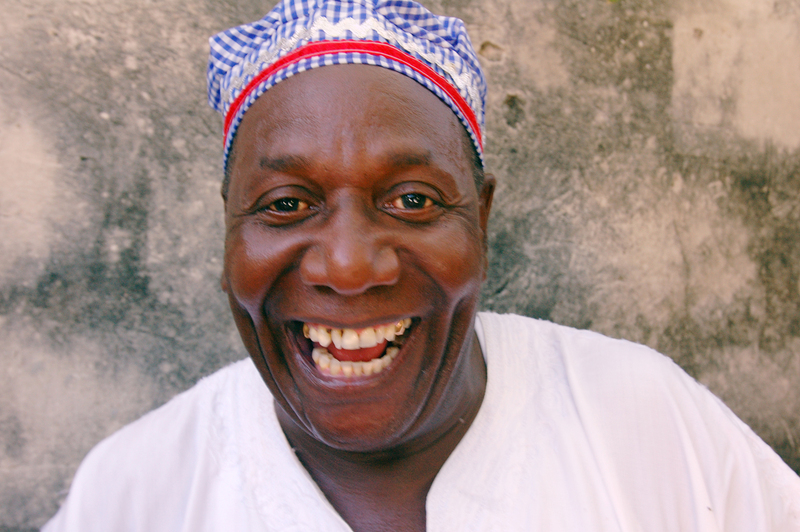 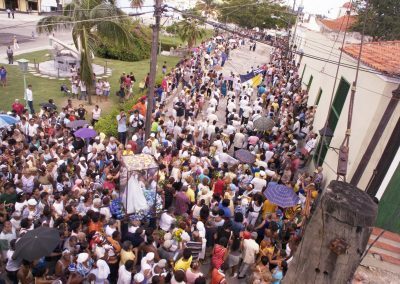 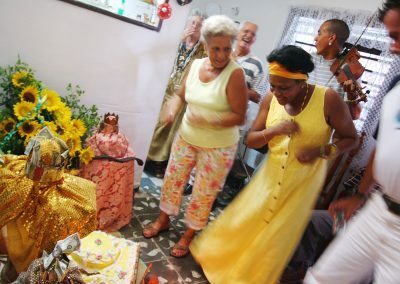 Errol is grateful to the Havana Santeria community for allowing him to photograph these traditions.